By Karrar Haider in Internet. Updated on January 16, 2019 . There are numerous services that allow the sender to track emails, including when email was opened, which links were clicked, what device was used, and even the recipient’s current location. And all of this without the consent of the reader. Therefore, I think emails should be something personal and I find email tracking a form of privacy invasion. So, the antidote I use for this are a bunch of tricks to track and disable email tracking. If you feel the same, then I can help you save yourself from email tracking as well. Below are some ways you can know if your emails are being tracked and how to disable this feature for your emails. Before we get to the business, let’s first see how email tracking actually works. Usually, there are two ways to track emails. 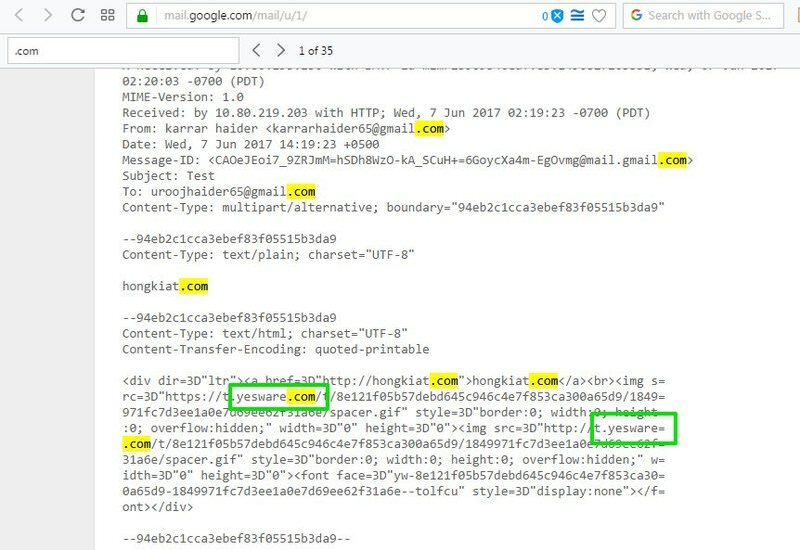 Either the tracking software will attach an invisible trackable image called pixel-beacon, or you will receive a link that you can click to see the email content. In the first method, the trackable images connect with tracking software servers to let them know about email interaction. And in the case of a tracking link, the interface where you read the email is a tracker in itself. All of the popular email services like Gmail, Outlook, and Yahoo don’t show external images by default. Your email provider will automatically ask to open external images or not, in case there is a trackable image. You can decline this request to disable tracking for that email. Of course, there is a chance that the email may have contained an important image instead. However, you will have to guess yourself whether the email contained a tracking image or an actual viewable image. Opening links inside email is never recommended, and this is especially true for links to see the email content. If the email has a link to see the email content, then only click it when it’s ok to let the sender know that you have read the message. Most server side trackers send their email or website URL along with the email, you can look for it to check for tracking. To detect if your email is being tracked through this method, go to your email service and look for Show Original Message option that shows server side data. 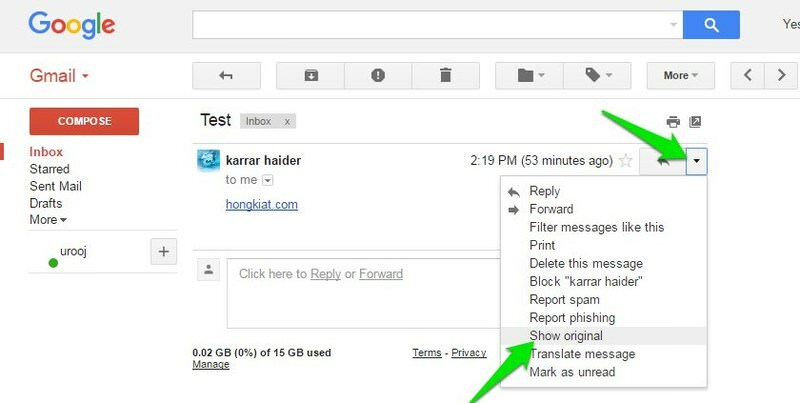 For example, in Gmail, you can click on More > Show Original to access it. To see all the addresses in the original message, Press Ctrl + F and type.com in it. This will reveal all the email or website addresses mentioned there. If you find any third-party address apart from your email service, links in the message, or your own email address, then search it online to see if it connects to a tracking service or not. The below screenshot shows that email is being tracked by the popular email tracking service Yesware. Using this method, you can also use the keyword track inside the original content. Sometimes a tracking service may not mention their address, but track or tracking word should be there. The above methods are good, but not very reliable. That is why I recommend using a third-party app instead that is more effective. For this purpose, I am using Ugly Email since its inception. It’s a Chrome extension that lets you see tracked emails in Gmail. Unfortunately, it’s limited to Chrome and Gmail users only. Ugly Email has improved a lot recently and supports almost all of the popular tracking services. It can detect and disable email tracking, and can even tell which service was used for tracking. Once installed, it will simply show an “eye" icon next to tracked emails. You can freely open tracked emails as Ugly Email automatically disables the trackers. You will see a notification whenever tracking is disabled. In my experience, it is capable of blocking many types of tracking methods. Even when all the above manual methods failed for me; Ugly Email was still able to find and disable the trackers. I should also warn you that apart from analytics purpose, email tracking is also used by scammers to execute better phishing attacks. They can know whether the email is active, and then track your activity to find your weak spot to scam you. Protecting yourself from tracked emails will allow you to reply to emails at your own pace and possibly save yourself from scams.